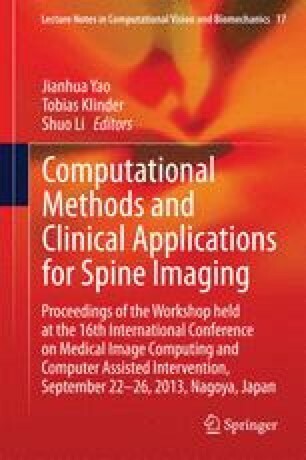 Accurate three-dimensional (3D) image segmentation techniques have become increasingly important for medical image analysis in general, and for spinal vertebrae image analysis in particular. The complexity of vertebrae shapes, gaps in the cortical bone and internal boundaries pose significant challenge for image analysis. In this paper, we describe a level set image segmentation framework that integrates prior shape knowledge and local geometrical features to segment both normal and fractured spinal vertebrae. The prior shape knowledge is computed via kernel density estimation whereas the local geometrical features is captured through an edge-mounted Willmore energy. While the shape prior energy draws the level set function towards possible shape boundaries, the Willmore energy helps to capture the detail shape and curvature information of the vertebrae. Experiment on CT images of normal and fractured spinal vertebrae demonstrate promising results in 3D segmentation.